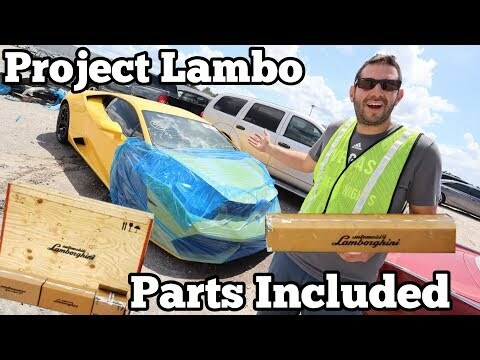 Tavarish and Samcrac head to a Copart Salvage Auction to check out a Wrecked Lamborghini Huracan that comes with the parts necessary to rebuild it! This video is sponsored by Copart. I am not a Copart Employee. Please contact Copart if you have any questions regarding purchasing vehicles at Copart. that's an insane Z28 1LE. So many prople would die to own that! I’m more interested in that beautiful Volvo in front of the lambo! Lol put a bunch of skeletons in there. The nicest car at copart was the red volvo p1800 by the lambo, that you never even gave a mention! This video is super triggering. Literally the most interesting thing in the video is the Volvo P1800 they don't even look at.